This dress was so special for me to make, as Sarah is an amazing girl who I cherish and respect very much. I had the pleasure of meeting her a few years ago when I still had my ready-to-wear fashion line. We met at a charity event, which she helped organize, and we immediately clicked. She really appreciated my being an independent designer and wanted to support my cause to source and make fashion locally in an ethical and responsible way. On one occasion afterwards she visited one of my pop-up shops, where she purchased some of my clothing, and later was photographed in the same outfit for TIME OUT NY at one of my fashion shows! By the time Sarah met her dream guy and then started thinking about her dream wedding dress, I had fully switched over to making exclusively bridal designs. She came in with her lovely mother for a consultation. Even though she didn’t know exactly what kind of dress she wanted she had a vision in her mind. 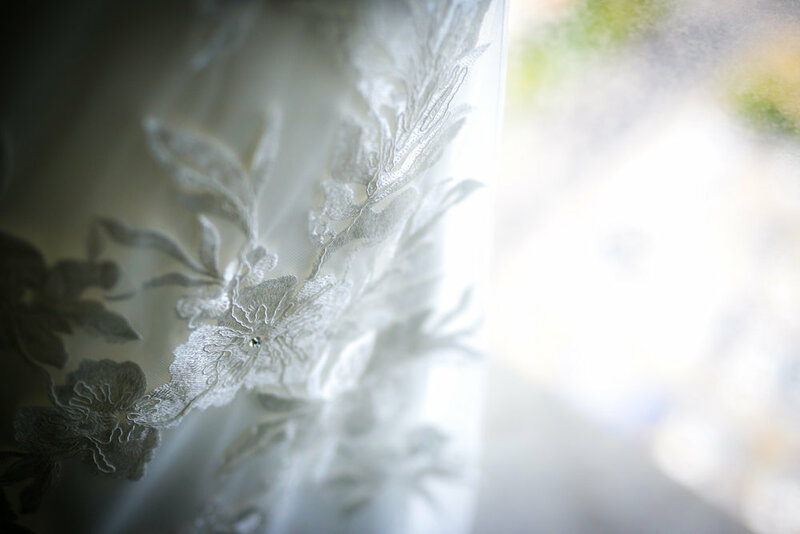 She loves nature, plants, and flowers and she envisioned tree branches and leaves starting at the bottom hem of her gown and going up her back and shoulders. We did a couple of quick sketches and the idea started to come to life. It was wonderful and, once again, I got to dress her and spend time with her! 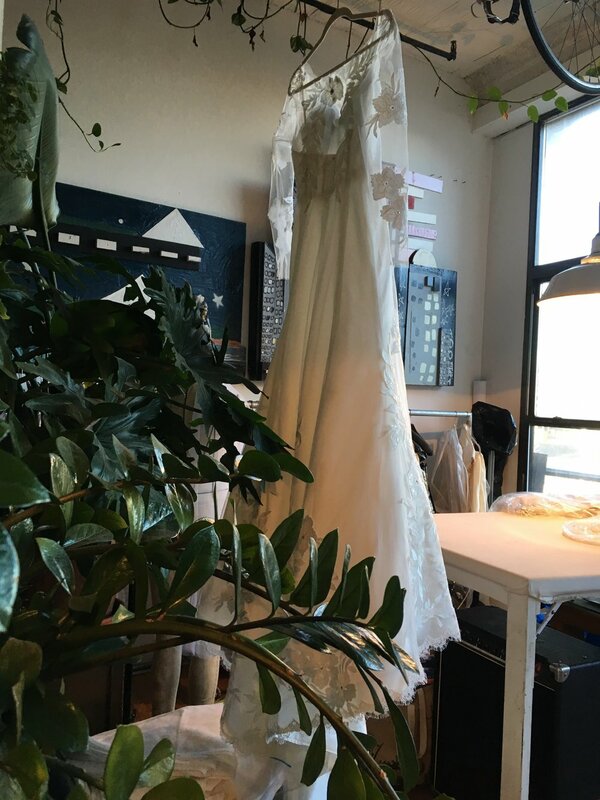 The inspiration behind her dress was amazing and so personal, but the hard part was how we were going to create it, as it was so specific and unique. 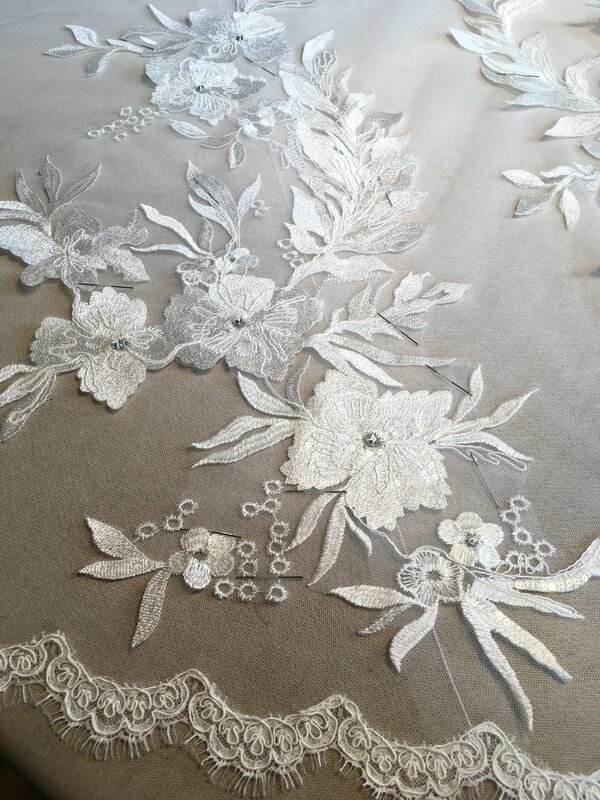 Initially, we planned to build the branches and petals from scratch by layering embroidered motives cutouts from lace and then hand sewing on silk petals to create the illusion of the tree. It wasn’t going to be an easy task. 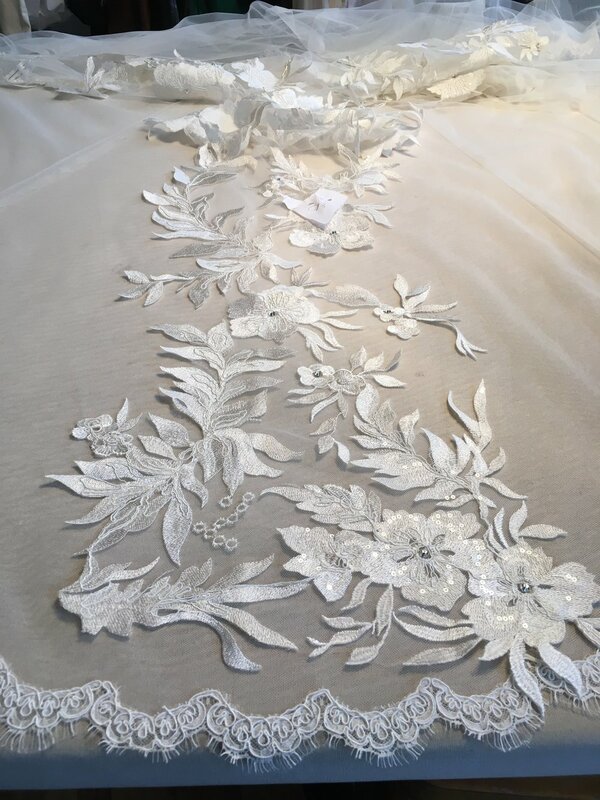 After a trip to Sposabella in the city, where I usually go for bridal lace, I found the perfect three-dimensional lace fabric. 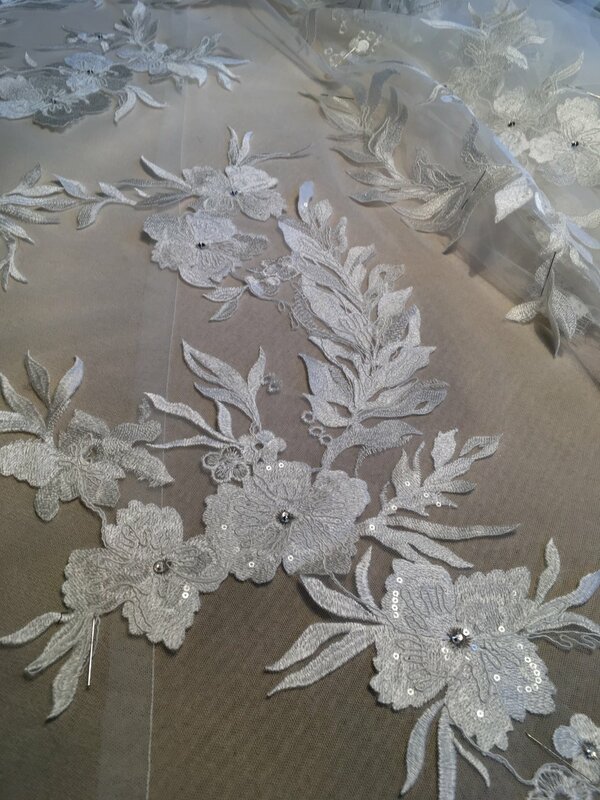 It was exactly what we wanted: it had all the elements of the branches and leaves and small flowers embroidered on a tulle mesh (perfect for cutting out). In other words – it was meant to be! 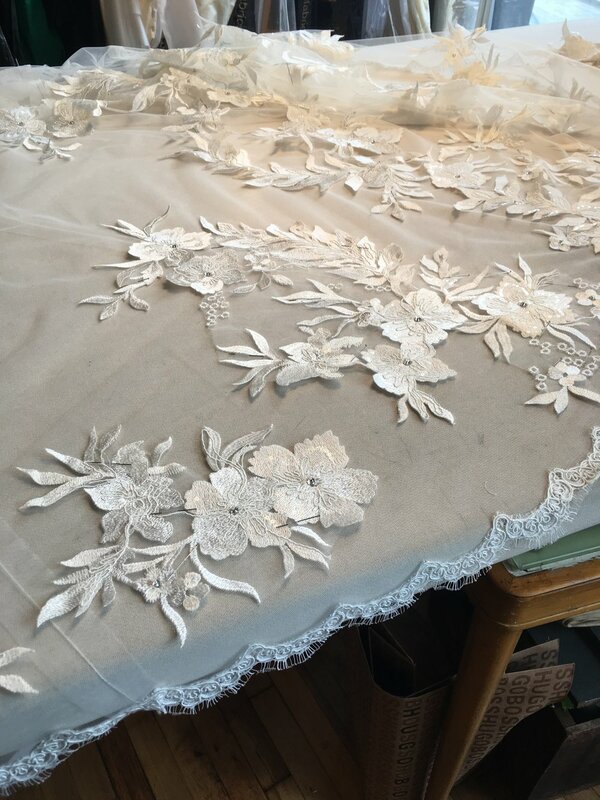 As with many of the dresses I make after we find the main fabric, the rest of the process was a breeze. 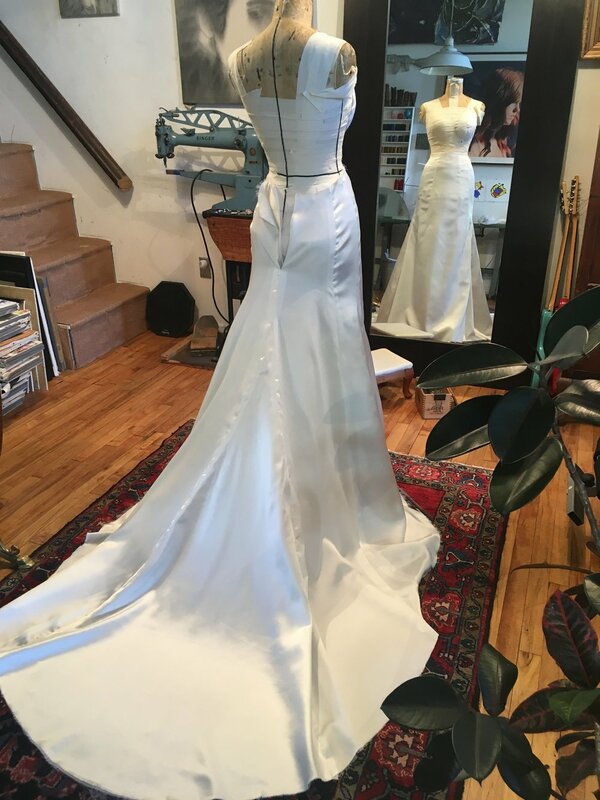 It really makes the dress the “The One.” The main fabric dictates what needs to happen next: how it needs to be laid out; what type of fabric is needed to line it; and what other details and trims need to be added. 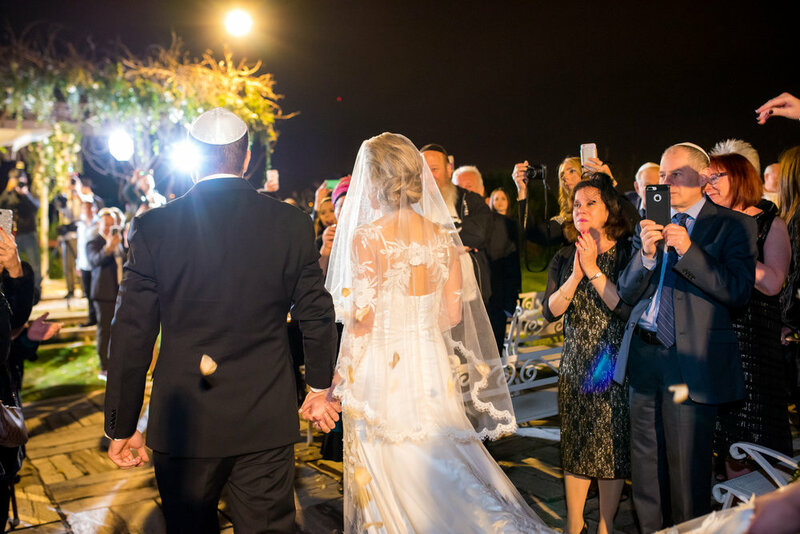 Sarah and Doron got married in Beit Hannan near Tel Aviv last year and I want to wish them a very happy first anniversary! It was such a pleasure for me to be a part of their big day. I love the dress I made for her, but most of all I am happy that we will always have this special bond we made while making her dress. Cheers to my dear friend and Mazal Tov to many more years of family bliss and everlasting love!